2018 may bring a long-needed website update... but please let us know if you have something you would like to see here. 2018: STUDENT POSITIONS: at the Biology Centre of the Czech Academy of Sciences, Institute of Parasitology. 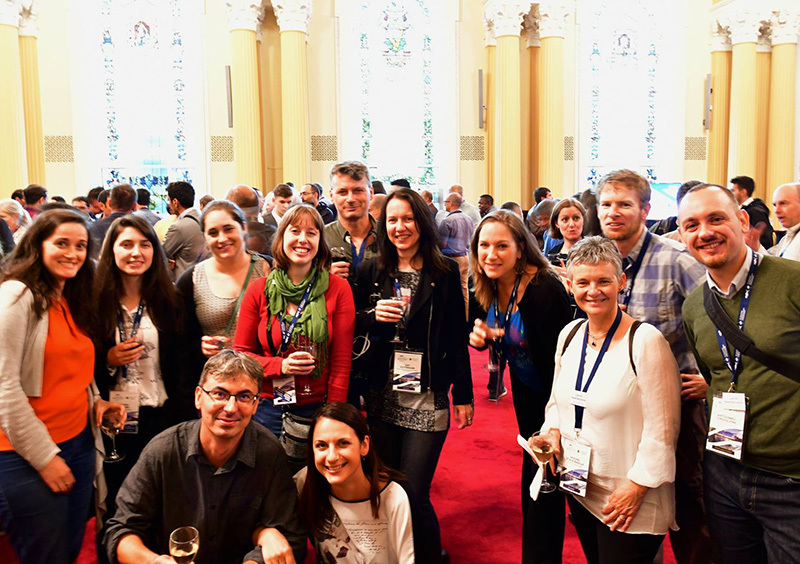 2017 saw the biannual European Association of Fish Pathologists' 18th INTERNATIONAL CONFERENCE ON DISEASES OF FISH AND SHELLFISH in Belfast, Northern Ireland. Once more, we took the opportunity to have a Myxozoan Workshop. We had two dedicated sessions, chaired by Oswaldo Palenzuela, Stephen Atkinson, Jerri Bartholomew and Ariadna Sitjà-Bobadilla, with 12 oral presentations and many posters. We also had time to discuss and comment on the future activities of the Myxozoan Network, and also to enjoy Irish beers! As always, please check your listing in the Contacts section and email us if you would like to change/add your details. Also, do not hesitate to let us know about other meetings, workshops, publications, post-doc (or other) positions, or anything of relevance to myxozoan parasite research!